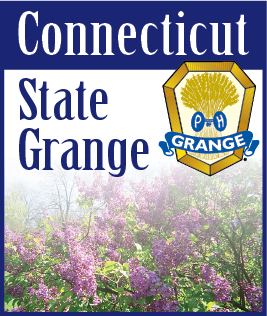 When we become members of the Grange, we take on certain obligations, and if we are elected or appointed to offices in the Grange we take on additional obligations. Let us make sure we fulfill those obligations, not just superficially but wholeheartedly. There is a matter of false pride that we may fall victim to just because we have accomplished the tasks assigned to us. “Look how good I am; I did everything I was asked to do!” Instead we should remember the parable of the talents. When the servant who had been entrusted with five talents returned them to his master he declared ‘Master, you delivered to me five talents; here I have made five talents more.’ [A talent is about 80 pounds of silver, a huge sum of money in those days.] His master said to him, ‘Well done, good and faithful servant. You have been faithful over a little; I will set you over much. Enter into the joy of your master.’ But when the servant who had received one talent returned the one talent with which he had been entrusted but returned nothing extra the master raged at him: ‘You wicked and slothful servant!’, and told the servant that at the very least he should have left the talent with the bankers, so that it could earn interest. Now, not every master is going to become enraged when someone does only what is required and nothing more, nevertheless each of us should strive to go above and beyond the minimal duties expected of us, no matter what our position. In fact, at the close of each Subordinate Grange meeting the Grange Master tells us “whatever we do, strive to do well”.